Just because a vehicle is brand new, it doesn’t mean that it is perfect. In many cases, new cars need to be machine polished to remove imperfections and to bring the gloss and clarity up to its full potential. Likewise, new vehicles come with no protection on the paint, wheels, glass, interior, etc. to keep it looking its best for a long time to come. 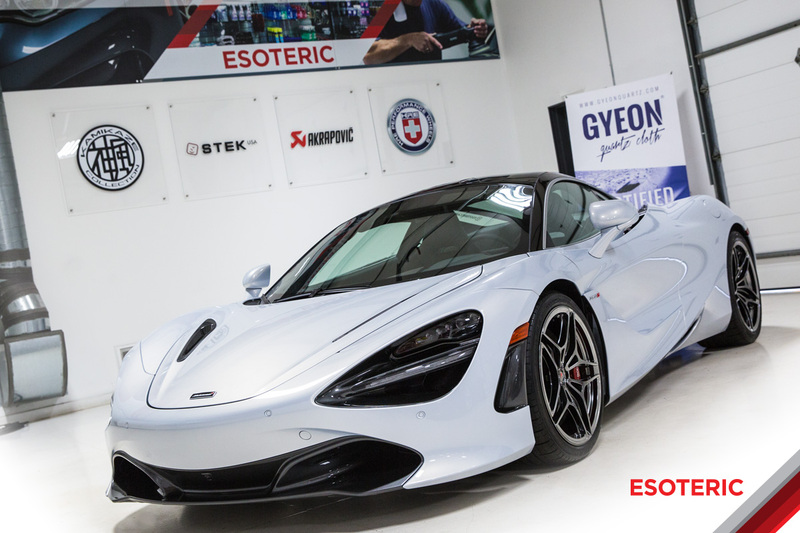 At ESOTERIC, we work on a lot of brand new vehicles from daily drivers to exotics and everything in between…we regularly have brand new cars shipped to us from all corners of the United States specifically for our new car preparation to get them started off right. Because not every car is the same, and not every owner has the same wants and needs, we offer a variety of new car preparation and protection services. If you have a new car that you’d like to schedule for our new car preparation and protection services or have specific questions, please call us at 614-855-6855 and we will gladly get you taken care of. What Makes ESOTERIC’s Services Better? Our premium services have gained worldwide popularity over the years through our relentless dedication to providing the highest quality of work, through the use of the best products and tools in the industry, and by making the customer experience second to none. 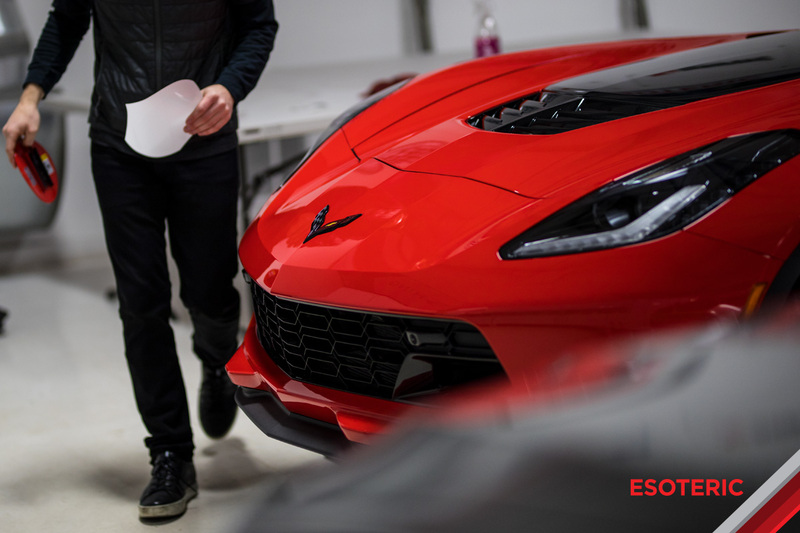 We constantly test and evaluate processes to develop the highest performing (and safest) paint polishing techniques to bring out the most clarity and gloss. 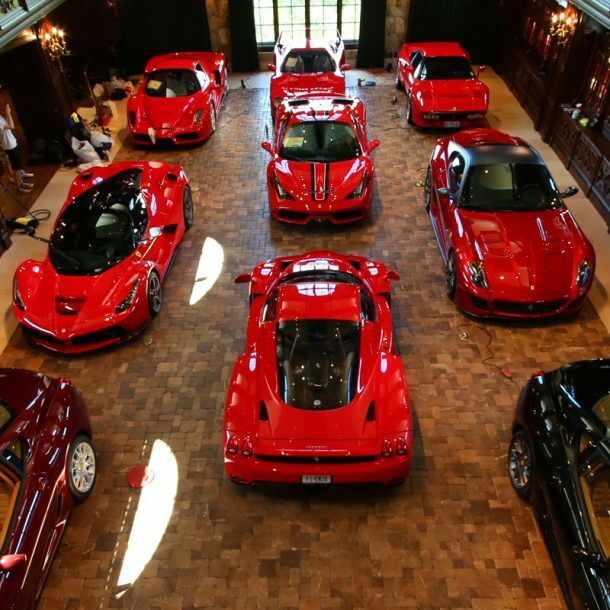 OEM auto manufacturers and professional detailers around the world have hired us to train them how to polish paint at the highest level. Equally as important to superlative techniques is utilizing the premier tools and products from the leading brands in the industry. Not only are we constantly testing and evaluating tools and products that produce the best results, but we also work directly with many of the top brands to provide product development support. We have also invested significantly in testing equipment that allows us to find the highest performing products without subjectivity. We use precision measuring equipment to test for the best clarity of film, which results in a better-looking install. 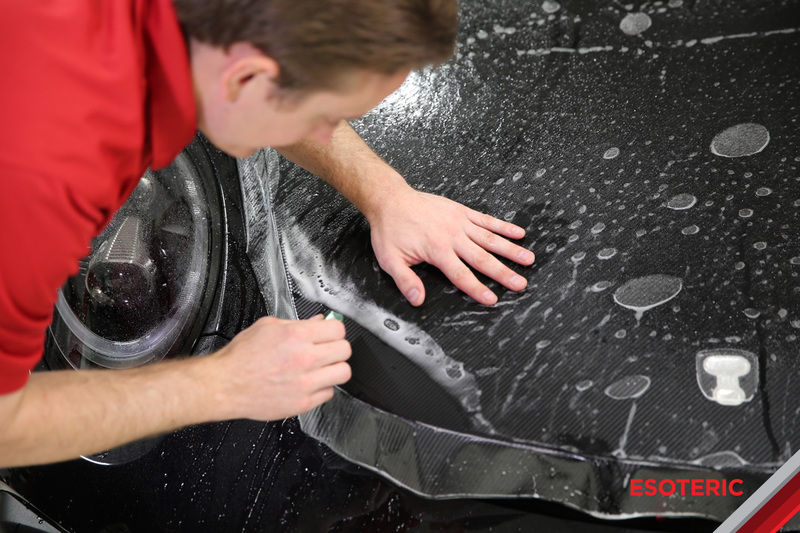 We use film with the latest in hydrophobic technologies, which provides the best self-cleaning characteristics. We also require our films to have self-healing properties to keep it looking good for many years to come. There are a lot of different brands and quality levels in the market, and we continuously monitor new technologies to make sure we are offering film that meets our exacting quality requirements. The quality of installation makes all of the difference, and we continually benchmark our work against others to ensure that our customers are receiving reference-level work! The top PPF installers in the business are true artisans, and the difference between a good installer and a great one is significant to say the least. We network with, and share techniques with the top artisans in the business so that we know we are providing the cleanest installs out there. Vehicle disassembly (when needed), and tucking edges wherever possible are just a few of the key features of our installs that separate them from others. ESOTERIC was founded upon professionalism in everything we do. From the first contact, through the services process, to final delivery, our customers are treated with the highest levels of respect and professionalism to ensure that the customer experience is as good as the quality of service. 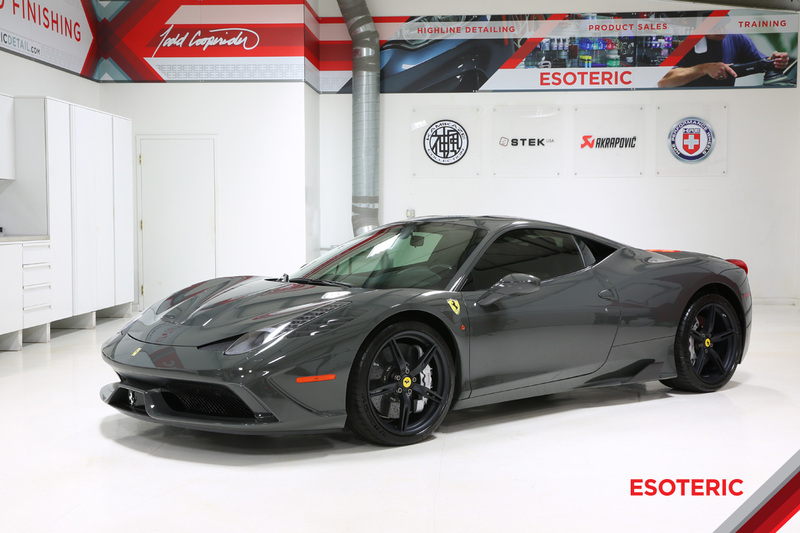 For those looking for the best-curated package of services that we offer, The ESOTERIC New Car Prep combines all of our most popular areas of expertise, in one convenient package to enhance and protect your new car. We first start off by machine polishing the paint to bring out a higher level of clarity to the finish. 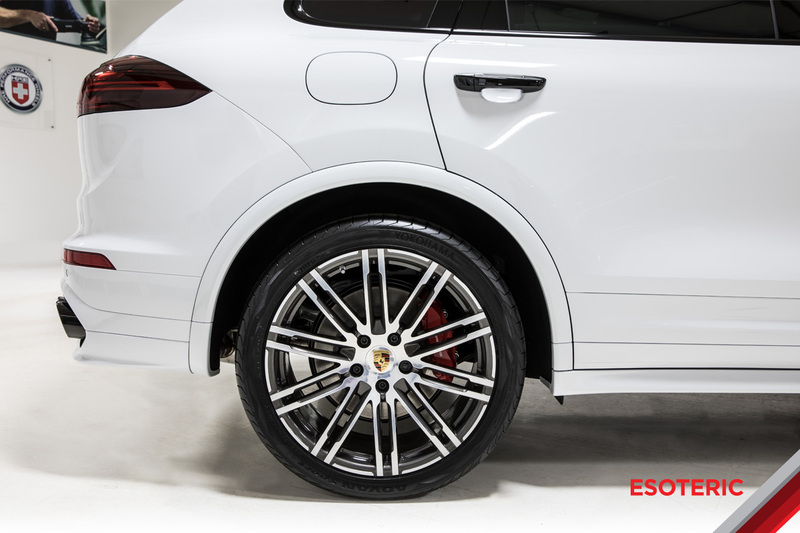 Then for protection, we apply the most optically correct paint protection film on the market to the full front end, mirrors, rocker panels, and rear wheel impact areas. Finally, we apply durable coatings on the paint, wheels, exterior trim, and interior where applicable. When finished, your car will look better than when it came from the factory, and it will have long-term protection to protect your investment and to make maintenance easier. Signature Hand Wash, and surface decontamination. 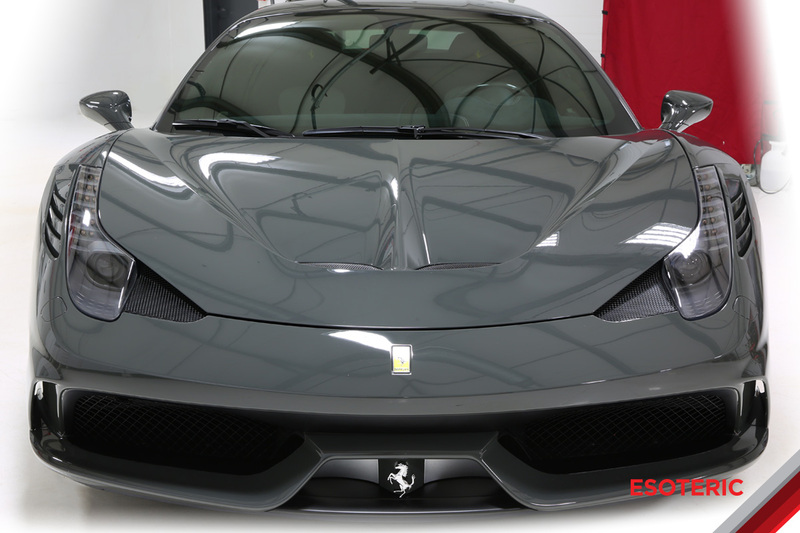 Single Stage Paint Correction is performed using a Dual Action (D/A) random orbital and polish. Extensive testing goes into each car to identify the optimal combination, which will deliver the highest quality results.